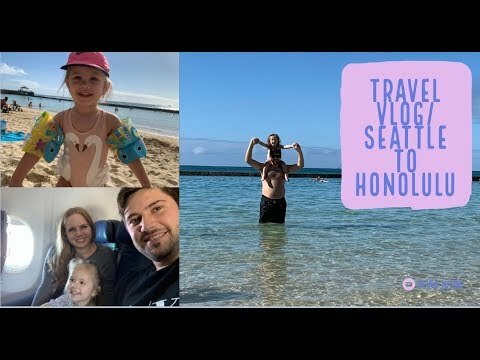 Hello everyone welcome back to my channel, I hope you enjoyed our Hawaii travel vlog, we have more videos coming from this trip! It was a rough travel day for us since Ellie got food poisoning and we did not know until we were already in the air… Thankfully she was such a trooper and braced through it, and at the end of the flight was very excited to go to the beach! A little about me and my family, I am a stay at home mom to a beautiful little girl named Ellie, she is two years old. Me and my husband are currently expecting baby number two in May and we are so excited! We live just outside of Seattle, WA and we love to travel and spend quality time with our friends and family.